If the results of the recent civic elections in Madhya Pradesh are anything to go by, the BJP is facing anti-incumbency in considerable measure. The party has been in the saddle uninterruptedly for 14 years, the last 12 plus years under Shivraj Singh Chouhan’s chief ministership. This anti-incumbency, if left unattended, could jeopardise its hold on power in the next Assembly election later this year. This is something for the party to worry about, but the BJP seems in no mood to rein in the arrogance of its leaders, which is a factor in the growing ire of voters. 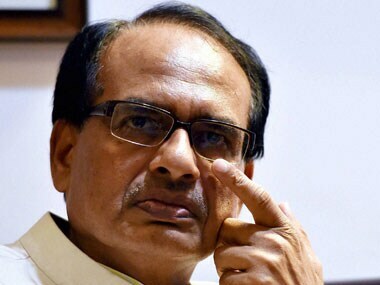 Even as the state was in the throes of the civic elections, Chouhan fanned the flames of anti-incumbency by slapping his bodyguard in full public view which attracted huge criticism. Earlier, the chief minister had evoked widespread derision when he declared after his return from a US trip that his state’s roads were better than those there. He faced comments mocking him on social networking sites for making a claim that woefully lacked realism and credibility. In the civic polls, the BJP and the Congress won nine civic bodies apiece in the state. However, considering how wide a gap there has been between the two parties in the last 14 years, this made the BJP and Chouhan personally look vulnerable. Evidently, this was not a reflection of a success for the Congress leadership but a growing sign of disenchantment with the BJP under Chauhan. 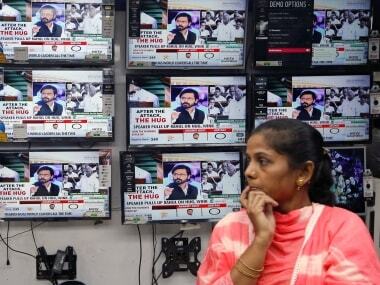 The voter was turning wary of the BJP’s claims, as it invariably happens when there is a mood of anti-incumbency. At a time when the people at large were already talking of the growing arrogance of BJP leaders, anti-BJP propagandists added fuel to the fire after Shivraj Chouhan slapping his bodyguard. Significantly, central leaders of both the BJP and the Congress were conspicuous by their absence during campaigning. 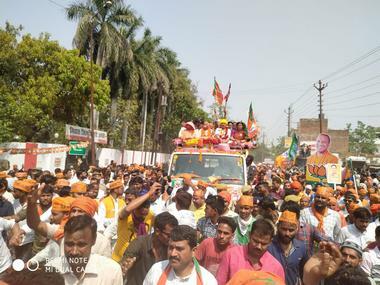 Shivraj Chouhan, however, campaigned hard for the BJP, conducting road shows and addressing rallies. In Raghogarh, the home constituency of All India Congress Committee general secretary Digvijay Singh, his son Jaivardhan Singh won comfortably despite Digvijay not making an appearance and Chouhan campaigning vigorously. It would be foolhardy to exaggerate the BJP’s setback and to juxtapose these results to show the party’s impending doom in the Assembly and parliamentary polls. 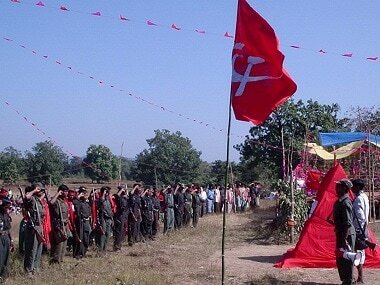 However, if the party fails to draw any lessons from it, it could well rue its misplaced over-confidence. Prime Minister Narendra Modi’s sway over voters and party president Amit Shah’s organisational skills are undoubted as was borne out by their extensive campaigning, managing to pull the party out of a virtual catastrophe in the recent Gujarat Assembly elections. But local factors also count significantly and the Shivraj Chouhan government would need to pull up its socks and show tangible results in governance. The BJP has been striving to improve its numbers in the Rajya Sabha so as to win a majority of seats there and have a smooth sailing with Bills, and any reduction in the tally in BJP-ruled states would affect that goal. 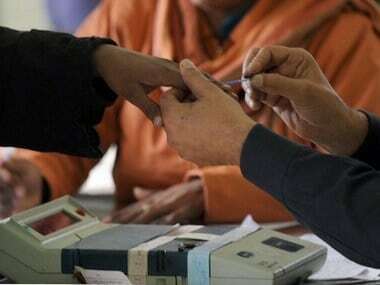 Rajasthan and Chhattisgarh are also slated to elect new assemblies later this year. The governments in these states could well face the anger of a section of voters largely on account of anti-incumbency, but also because of a perception of arrogance of the leaders. In Karnataka, the shoe is on the other foot with the Congress facing anti-incumbency and BJP waiting to cash in on it. But the BJP chief ministerial nominee Yeddyurappa is viewed by many as a tainted leader who had even been jailed for alleged corruption before he was cleared by the court. With elections due in May this year in Karnataka, poll-watchers would not have to wait long to know what happens there. The stakes are indeed high in the Assembly polls in 2018 which will be held in the run up to the Lok Sabha elections next year. The Modi government could lose part of the sheen that still characterises it if it fails to perform creditably in the Assembly elections. If the Congress in turn performs well in the Assembly elections, it would help resurrect that party that has been down in the dumps since it lost power at the Centre in 2014 to the Modi wave and subsequently in some states. Normally, the results in civic elections are not an important pointer to the shape of things to come at the national level. But this time around, they could well be an influencing factor in raising the stock of a Congress that has been consistently on the downhill path. Much like Gujarat, the states of Madhya Pradesh, Rajasthan and Chhattisgarh are also largely bipolar states, where the chief battle is between the BJP and the Congress. Thus, the performance of these parties in the Assembly polls will be an indication of their clout in the Lok Sabha election.